Ontario’s premier and the leader of the third party in the legislature are both denouncing an anti-immigration flyer that was recently distributed in Brampton, Ont., which is now being investigated by police. Late Saturday evening, Premier Kathleen Wynne issued a statement about what she calls a "hateful flyer." 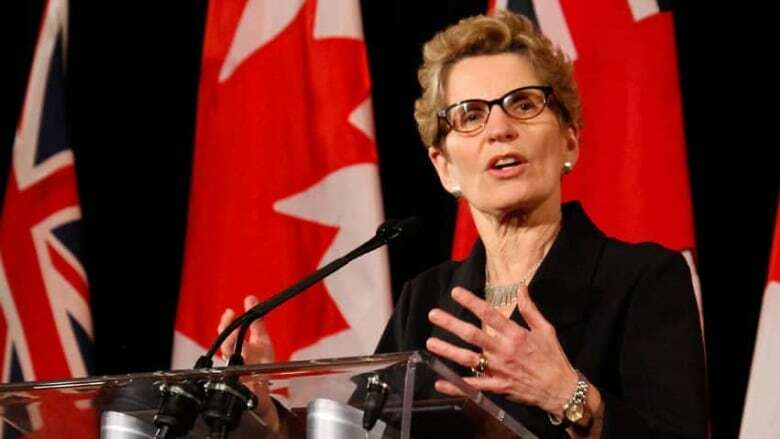 Wynne said she will not tolerate what she calls the "hateful politics of division in Ontario." Ontario NDP Leader Andrea Horwath similarly denounced the flyers over the weekend. In a statement released Sunday, Horwath said "the racist flyers directed against the Sikh community in Brampton this week were an attack against every Ontarian." The flyers reportedly show a black and white picture of a group of Caucasians above a separate photograph of a group of Sikhs with captions that read "from this...to this..."
Underneath the two pictures is a caption "Is This What You Want?" The flyers were issued by a group called Immigration Watch Canada which, according to a spokesperson in B.C., is opposed to mass immigration. On Sunday, Dan Murray, an IWC spokesperson, responded to what Wynne had said about the flyers. "She's gotten where she is because of freedom of speech and now what she's telling us is to shut-up…I suspect she knows that her party depends on the recent immigrant vote and that she's just hiding that fact and trying to portray us as anti-immigrant," he told CBC News. Some Brampton residents are upset by the flyer and Peel Regional Police have launched an investigation into its circulation. "The implication is clear — there are groups of people who we do not want to represent our town, who we do not want to make up the population of our town," Brampton resident Cecilia Kennedytold CBC News ahead of the weekend. She says she found the flyer in her mailbox and then contacted local politicians, including the mayor, and police. Balpreet Singh of the World Sikh Organization of Canada said the flyer has been "quite upsetting" to some members of his community, but he doubts it qualifies as a hate crime. "I think the pamphlets are in very bad taste, but I don't think that they go into the territory of hate crime, so I don't expect anything to be done," he saidahead of the weekend.